Ah these famous European projects! So many acronyms but so many billion Euros in perspective to finance the Collaborative European Research and Development! 8th outline-plan PCRD more known under the term of H2020, COSME, FEDER, CIP INTERREG eureka, EUROSTARS, etc. is it for you? These projects are not that for big groups; in the 6th outline-plan, 1450 SMES(SMALL AND MEDIUM-SIZED ENTERPRISES) have been financed in 1114 consortia of ICTS(INFORMATION AND COMMUNICATION TECHNOLOGIES) projects (financed at the level of 3857 M€). We can accompany you in the deciphering and the participation to some of these programs in particular the EUREKA projects and EUROSTARS. 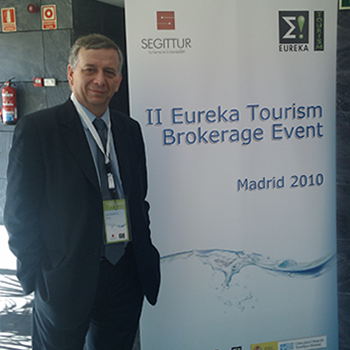 DEV-HELP is indeed actively involved of one of the initiatives, “EUREKA TOURISM” where we represent France to the European Consultative Committee.